I contacted Mr. Quinn a couple of weeks ago in regards to trying one of the knots he offers. After a very pleasant exchange of emails, I settled on the 24mm HMW fan, as I was looking for something different from the other knots in my den. It was an excellent recommendation from Mr. Quinn. 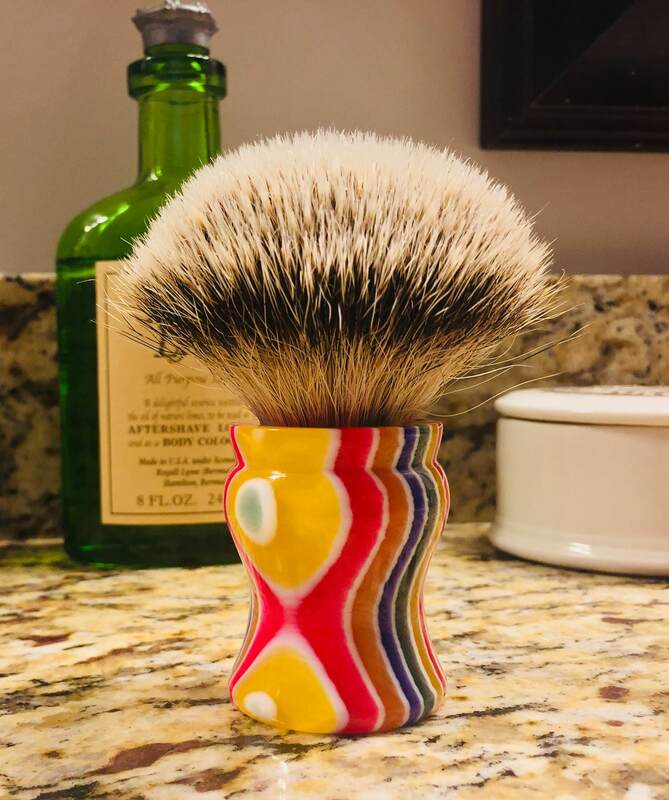 I received the knot last week and used the finished brush for the first time today. Very soft tips, moderate backbone and density with wonderful flow through. On the face, it feels very similar to my Savile Row Silvertip but with better backbone. Nice brush handle and knot. Elite Razor knots can have close to synthetic softness with badger backbone. Very nice brush. Bob's handles and knots are top tier. That is a sweet brush! I’ve been meaning to try one of Bob’s highly regarded brush/knots. The HMW fan looks to be in my wheelhouse. I really enjoy Bob's work..
(11-08-2017, 01:31 PM)shaverjoe Wrote: I contacted Mr. Quinn a couple of weeks ago in regards to trying one of the knots he offers. After a very pleasant exchange of emails, I settled on the 24mm HMW fan, as I was looking for something different from the other knots in my den. It was an excellent recommendation from Mr. Quinn. I received the knot last week and used the finished brush for the first time today. Very soft tips, moderate backbone and density with wonderful flow through. On the face, it feels very similar to my Savile Row Silvertip but with better backbone. Nice! I need an ER HMW. Thanks for posting this. Bob’s knots are terrific. 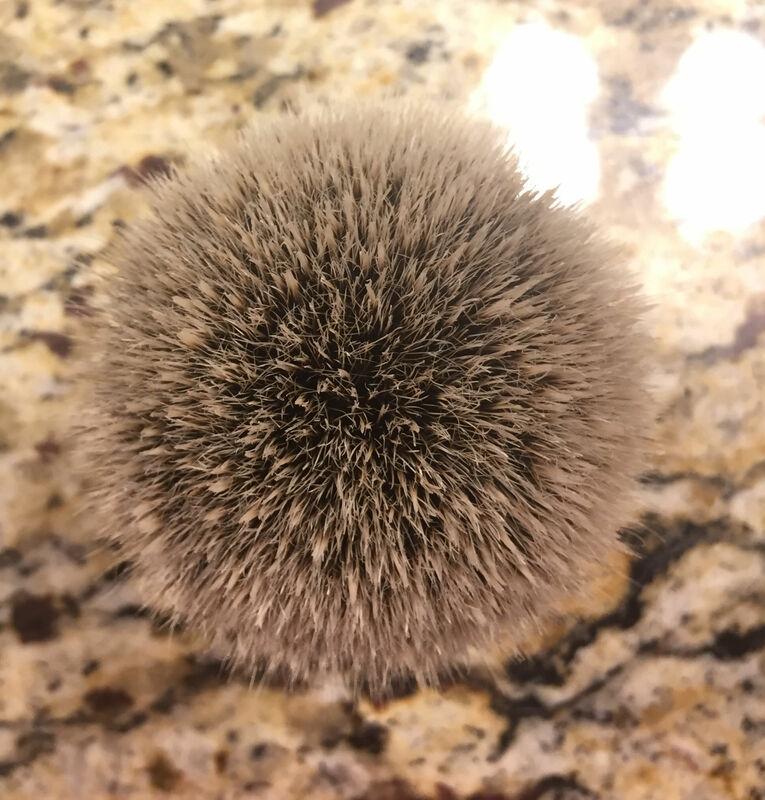 If I may ask, what’s the loft measurement of this brush? The loft is set at 50mm. If you want a little more backbone and less splay, it would easily tolerate a loft of 48mm.